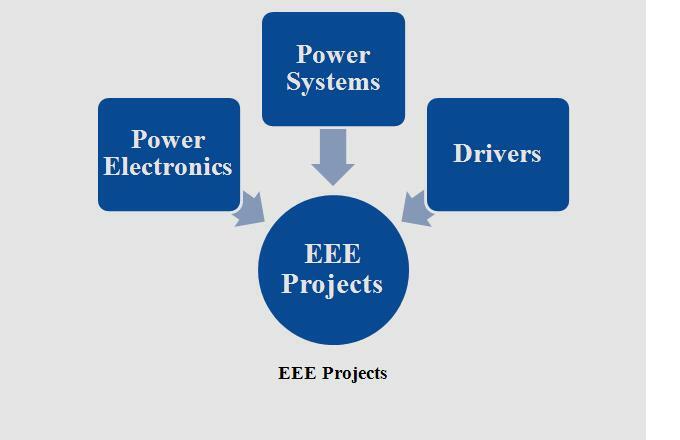 EEE Power Electronics Projects is the main branch of electrical and electronics engineering deal with the conversion and control of electric power in various applications. 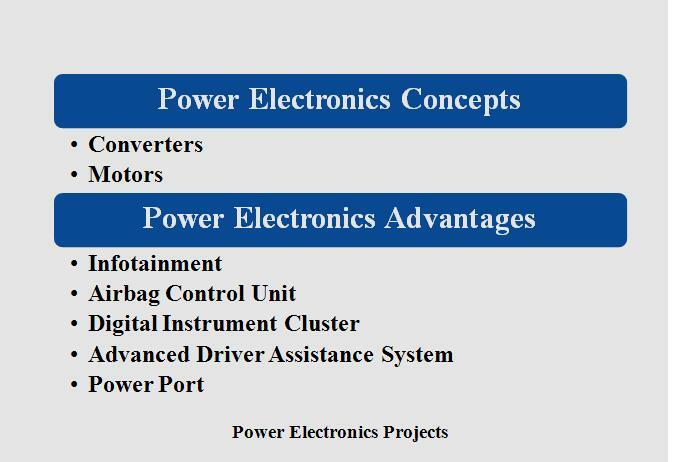 We offer IEEE power electronics projects with various fundamental technologies for students with electric power conversion & implemented in various application & real time system. We develop interdisciplinary technology with various applications for B.E students under various fields in electrical engineering. 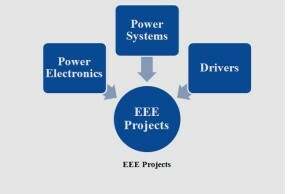 We determine major advance in all field which enhance power electronics application. We determine series parallel resonant converter as most suitable topology for DC-DC power supply. We deploy LLC (line level control) resonant converter into on board battery charge for plug in hybrid electric vehicle applications. We deploy full bridge series parallel resonant converter more suitable than other resonant converter for PHEV charger application. Inductor integration into transformer creates volume of LLC converter smaller than parallel resonant converter. Primary side zero voltage switching (ZVS). Secondary side zero current switching (ZCS). Integrated magnetic component & buck/boost operation capability. 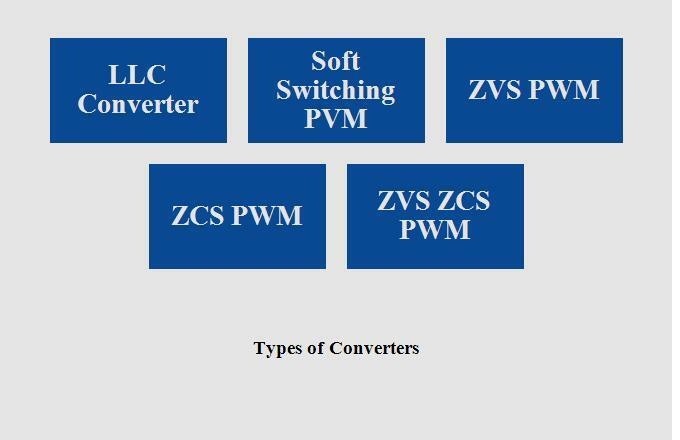 We define soft switching PVM converter as the mixture of converter topologies and switching strategies which result in zero voltage and zero current switching. It referred as Quasi-resonant, resonant transition, clamped voltage and pseudo resonant topologies. We employ resonant converter transmission during short switching interval. We control output voltage by PVM with constant switching frequency. Zero voltage switching with substantial external snubber capacitor or zero current switching can be a solution. It controlled by phase shifted PWM. 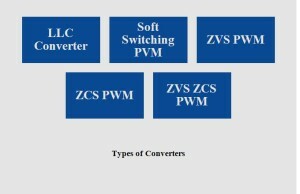 ZVS full bridge pulse width modulation converter. It derived from ZVS PWM converter. It uses phase shift control at constant switching frequency to achieve needed converter operation. Zero voltage zero current switching PWM converter derived from full bridge phase shifted zero voltage PWM converters. Power doors, seat control, windows lift & mirror. Electronic power steering/electric parking brake. 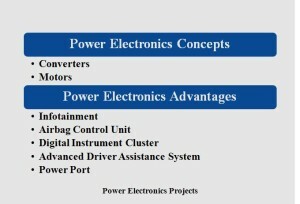 Engine & power train control module. Head lamp, interior lighting & tail lamp.